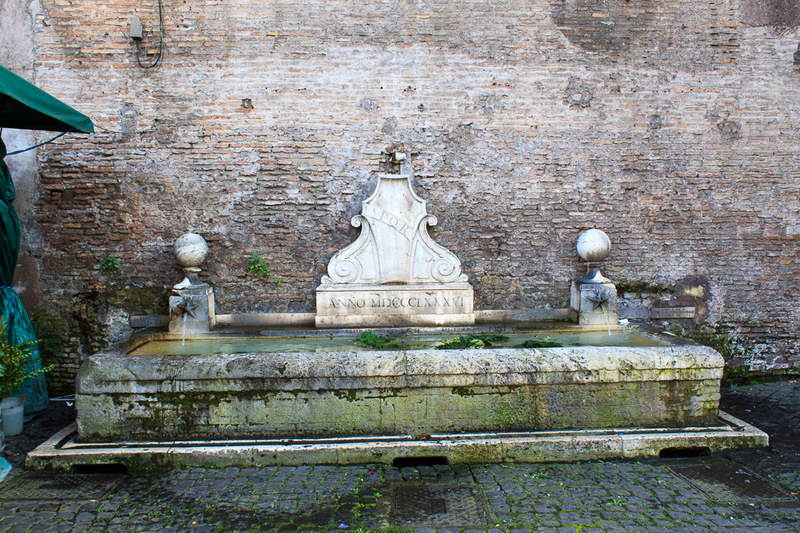 The Fountain of Porta Flaminia is a small wall fountain just outside of Piazza del Popolo, to the right of the Porta del Popolo. Two water outlets in the wall drain into a large simple knee-high rectangular basin. During my visit in October of 2014, a florist booth was set-up next to the fountain, and flowers were in the basin soaking up water. See all Fountain of Porta Flaminia photos.